Photography editing and photo enhancements make your sales collateral more attractive. does not tell all, then allures them into opening your publication. 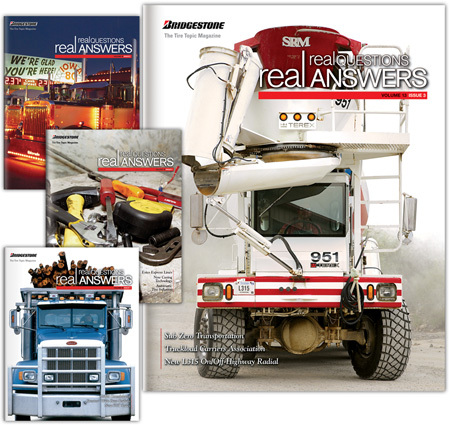 Bridgestone’s content marketing publication, “Real Answers,” using exotic heavy equipment to show off their tires. The cement mixer on the cover, shot by Judy Northcutt Gaertner, shows very little sign of rust – could it be new? Heavily enhanced photographs can lead one to believe what they see and create interest.